This special issue features essays that intersect Western intellectual discourses with foreign modes of thought in order to deconstruct and transform Western metaphysical thinking. Contributors include Souleymane Bachir Diagne, Luca d’Isanto, Claude Imbert, Katherine Lemons, Alphonso Lingis, Stefania Pandolfo, Peter Skafish, and Luke Thurston. 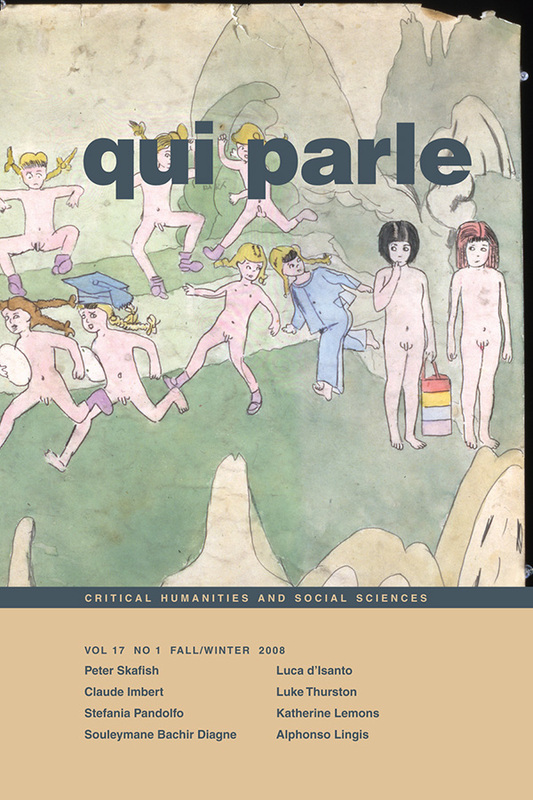 View the table of contents for Qui Parle 17:1, at the journal's online site.